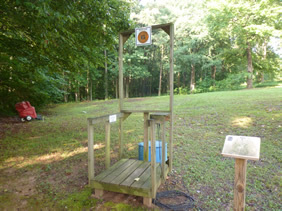 Wobble Trap: Available 6 days a week for $6.00 / $5.00(shotgun membership) a round which is 25 clays or a box of 25 shells. 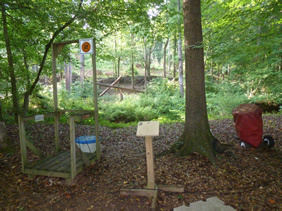 Participants will shoot from either side of the trap house or above the trap house. A great way to start learning for young and old alike. Super Sport Field: Available on Wednesday Nights at 5:30pm -8:00pm. Cost is $6.00 / $5.00 (shotgun membership) a round of 25. Also available Monday thru Friday for groups of 4 or more with prior notice (1 to 2 days). The Super Sport field has a Regulation Trap 16 yard pads behind the trap house and 11 additional traps for Super Sport report and true pair from 6 pads. 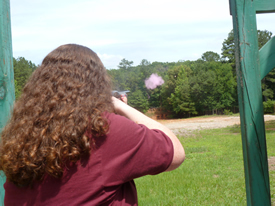 Sporting Clays: Available on the following dates or Monday thru Friday 4 or more with prior notice (1 to 2 days ). 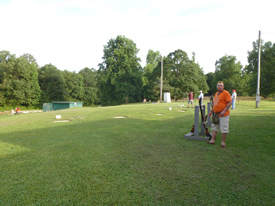 We offer a 10 station 100 bird Sporting Clays shoot. From Rabbits to quail to teal flying high and low, crossing, outgoing to Incoming!!! This is a walking course so NO golfcarts needed.Lots of fun and a great way to spend time with friends and family! Cost is $ 45.00 for 100 birds / per person. 2019 Sporting Clays Dates Rain or Shine!! All shoots are on Sundays and start at 1PM. – No entries after start. Lewis Class is an option and costs $10 to enter. It does have a five class payback!